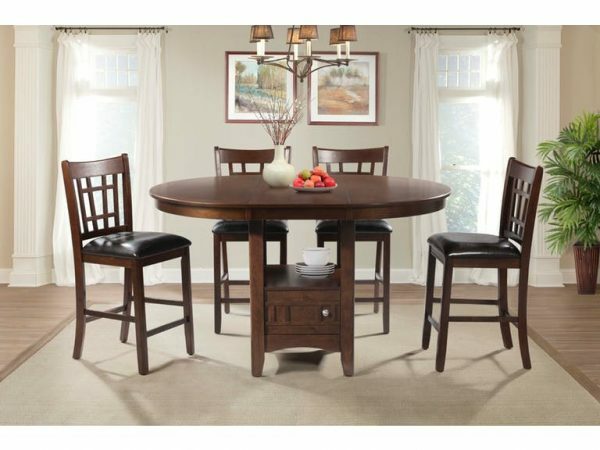 The charming Max Cherry pub dining collection is the perfect addition to any home. 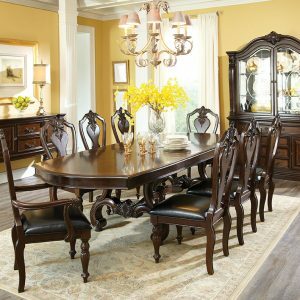 Featuring rich wood grain details dressed in a warm cherry finish, this group has convenient storage space located in the table base. 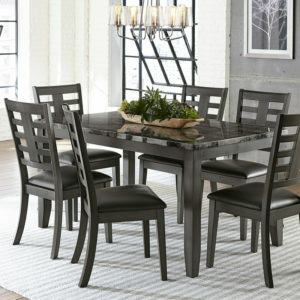 Black faux leather upholstered seats add the finishing touch to this vintage inspired set.